KENNETH O. WRIGHT (1911-2002) was born in Fort George, BC, but attended school and university in Toronto. He received the RASC Gold Medal on graduation in 1933 and went on to earn his M.A. the following year, during which time he helped the Toronto Centre by giving constellation talks and operating the slide projector at meetings and by organizing meteor observations. He moved to Ann Arbor to begin his Ph.D. studies at the University of Michigan and joined the staff of the DAO in 1936, completing his Doctorate in 1940. He served the Victoria Centre as Councillor, Recorder, Vice-President. President (1945-46) and Honorary President and was the speaker at many meetings of the Centre and at their "Summer Evenings with the Stars". In 1961 he was elected national Vice-President and was President in 1964-66. While in office, he visited nearly all the Centres of the Society and spoke at General Assemblies. He tried to encourage more scientific content in the Journal and contributed dozens of papers himself. 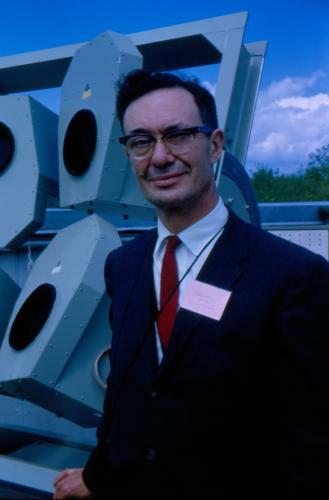 Wright's primary research interest was in super-giant systems like Zeta Aurigae and in the relative abundances of chemical elements in solar-type stars. During his career he worked with several universities as lecturer, visiting professor, research associate or as a member of their governing boards. The Queen Elizabeth II observatory project took a great deal of his time and effort in the 1960s, though it did not succeed. On the occasion of Wright's retirement as Director of the DAO in 1976, a special symposium in his honour was attended by colleagues from Canada and abroad.